Home / Health / What is Considered a Normal Blood Pressure Reading? 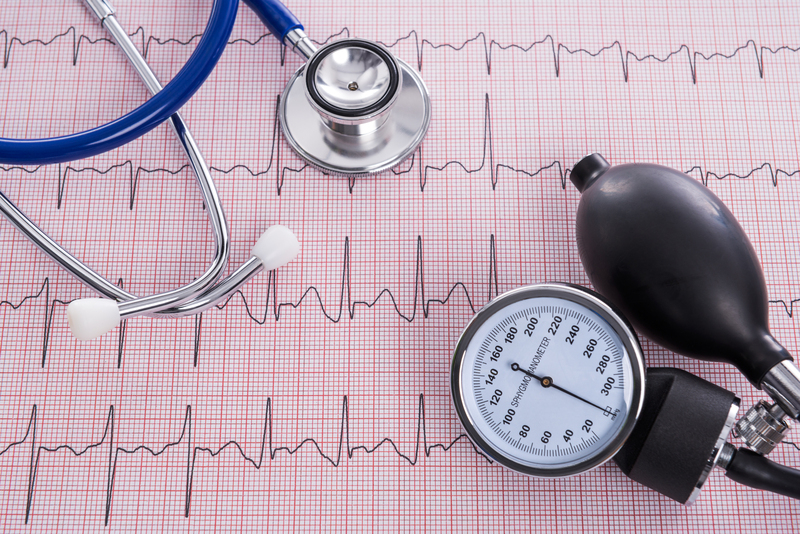 High blood pressure is a very common health issue and should not be underestimated. Fortunately, there are many ways to assist in controlling the condition. The very first thing you need to do is understand how your habits affect your blood pressure numbers and the significance of those numbers. Systolic blood pressure. This is the first number in the reading. It indicates how much pressure the blood is exerting against the artery walls when the heart beats. Diastolic blood pressure. This is the second number in the reading. It indicates how much pressure the blood is exerting against the artery walls when the heart is resting between beats. Normal. Blood pressure numbers that are less than 120/80 mm Hg are considered to be within the normal range. Elevated. Blood pressure numbers that consistently fall between 120 and 129 systolic and less than 80 mm Hg diastolic are considered elevated. Hypertension Stage 1. Blood pressure numbers that consistently range from 130 to 139 systolic and 80 to 89 mm Hg diastolic are indicative of hypertension stage 1. Hypertension Stage 2. Blood pressure numbers that consistently range from 140/90 mm Hg or higher are indicative of hypertension stage 2. Hypertensive Crisis. Blood pressure readings that exceed 180/120 mm Hg constitutes a medical emergency and requires immediate medical attention. Hypertension is the formal medical name for high blood pressure. Early stages of hypertension does not come with noticeable symptoms, so people can have hypertension for years without experiencing any symptoms. Having untreated hypertension for prolonged periods of time can increase the risk for serious health issues down the road. How can blood pressure numbers be controlled? Get your blood pressure checked regularly. Blood pressure checks are convenient. You don’t even have to make a doctor’s appointment. Most local pharmacies will perform the test without an appointment. Stick to a healthy diet. Eating plenty of fruits and vegetables, while avoiding sodium, can help you reach and maintain good blood pressure numbers. Stay hydrated. Making certain that you drink enough water throughout the day helps to ensure all of your bodily functions are operating in an optimal fashion. If you begin an exercise regimen to help control your blood pressure, you should definitely make an effort to stay hydrated. Maintain a healthy weight. Being overweight or obese makes it harder for the heart to pump blood effectively throughout the body. Losing weight can help relieve that strain and lower your blood pressure. Exercise regularly. Staying physically active strengthens the heart, which helps it to pump blood effectively and decreases the pressure on the arteries. Don’t smoke and limit alcohol intake. Smoking is linked to higher risks for nearly every type of cardiovascular disease, while drinking alcohol in excess has been linked to increased fatty plaques in the arteries, which inhibits effective blood flow. If you have diabetes, manage the condition properly. About one-fourth of people with diabetes also have high blood pressure. Managing diabetes, including eating a nutritionally-balanced diet and exercising, can help alleviate blood pressure issues.